The Bold City (Jacksonville, Florida ) team served with Bethel Ministries in April. The Bold City group is an excited partner in the Mission:Mobility network, who has already started collecting equipment. They passionately serve the needy in the Jacksonville area. We encourage you to check out their efforts. 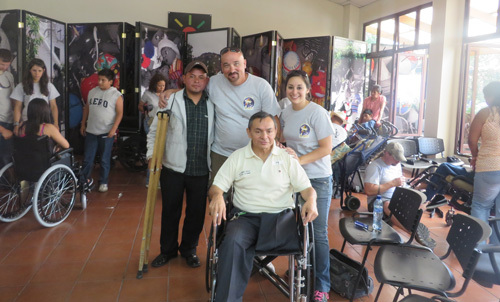 The first day in Guatemala, Pastor Chris showed us around the wheelchair repair shop. There were tons of wheelchairs and since we wouldn’t be doing wheelchair distribution for several days I never really gave them much thought. We spent the first few days doing food distribution, loving on kids, praying with families, and building houses. It was such a blessing to be a part of. By the time we got to wheelchair distribution day I was physically, emotionally, and mentally spent. I was overwhelmed with love and compassion for the Guatemalan people. I knew wheelchair distribution was a big part of Bethel’s ministry, but it sounded like an easy day to me. I thought we would just be passing out wheelchairs. I soon found out that the easy day I thought we would be having would be one of the hardest emotionally. Here in America when a wheelchair doesn’t meet our needs we call customer service, send it back, and wait for them to deliver one that works. When a chair doesn’t work for a person at a wheelchair distribution the saws, screwdrivers, and bolts are pulled out. It is fixed right there on the spot. Whatever tools are in the Guatemalan tool bag are what you get. You use whatever it takes to make it work. I spent my time running back and forth finding the right size chairs and the tools needed to send them home in a wheelchair that fit and met their individual needs. Seeing people experience the freedom of mobility for the first time in their life was absolutely priceless. Young and old alike were overwhelmed to tears. Many of them had to be carried into the building by family members and were able to leave in their own wheelchair. Not only was it an act of love to the disabled individual, but it also showed love to their family members – the people that have spent countless hours caring for them. 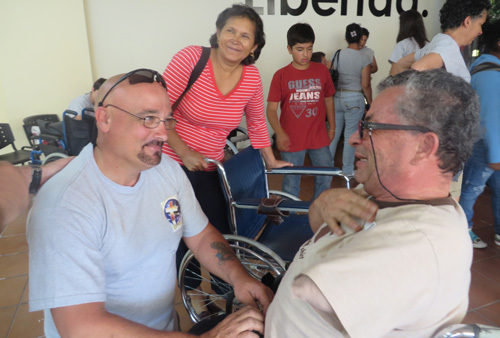 Those that left with a wheelchair not only received freedom, but they also received the hope of salvation as every person at the distribution got to hear the gospel. 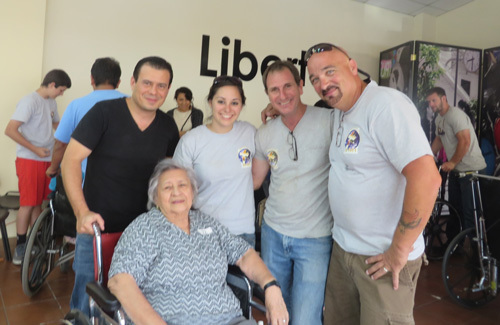 Bethel’s wheelchair distribution was so much more than just passing out wheelchairs. It was literally changing the lives of “the least of these” (Matt. 25:40). It was worth every second to see tears turn to joy as chains were broken and captives were set free. 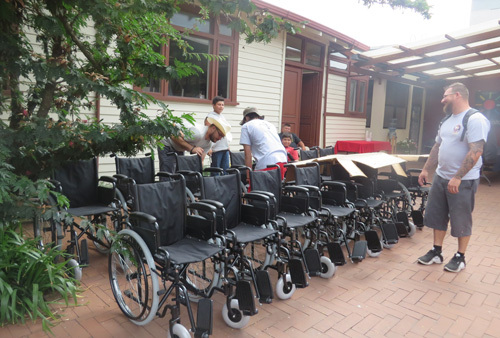 Every wheelchair counts and makes a physical difference through Bethel Ministries International. This entry was posted in Uncategorized on May 30, 2014 by bclarkmission.